Notes: Little is known about the Breen cruiser. Before the war what little information Starfleet had, reported that the Breen used organic technology in their ships. After the Breen joined the Dominion, Starfleet quickly discovered that the Breen possessed energy draining weapons that leave vessels dead in space. 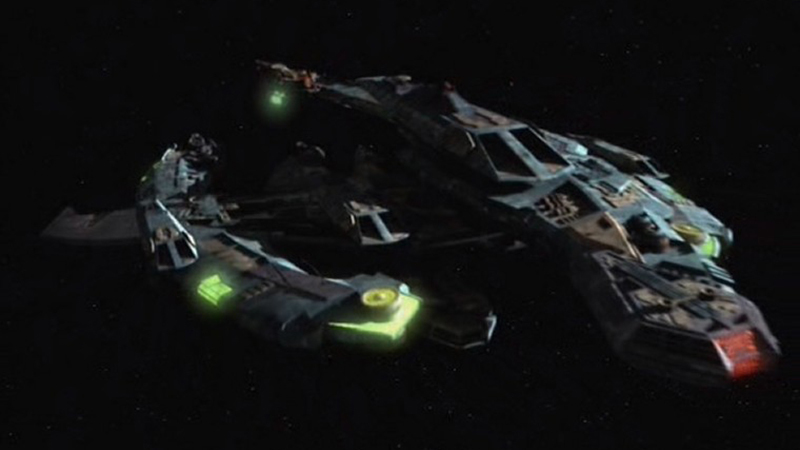 No defense was available until a Jem'Hadar attack ship was stolen which was being outfitted with the Breen energy weapon. 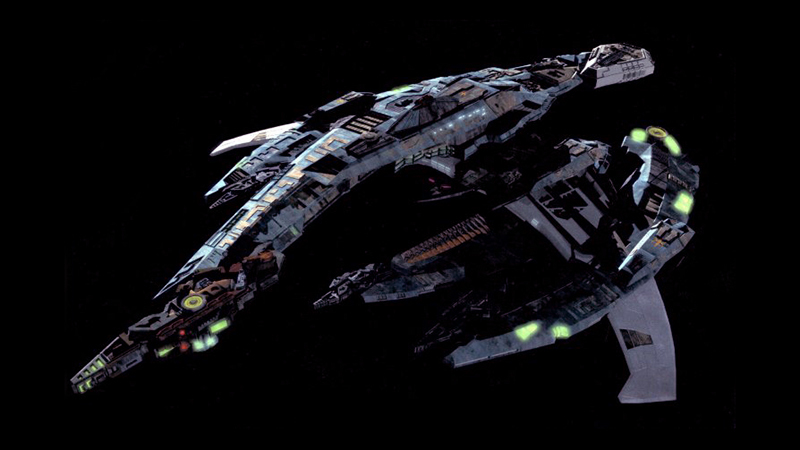 Though possessing a terrifying weapon the Breen cruiser's defenses are not any stronger then the average Dominion ship, easily destroyed by quantum torpedoes.